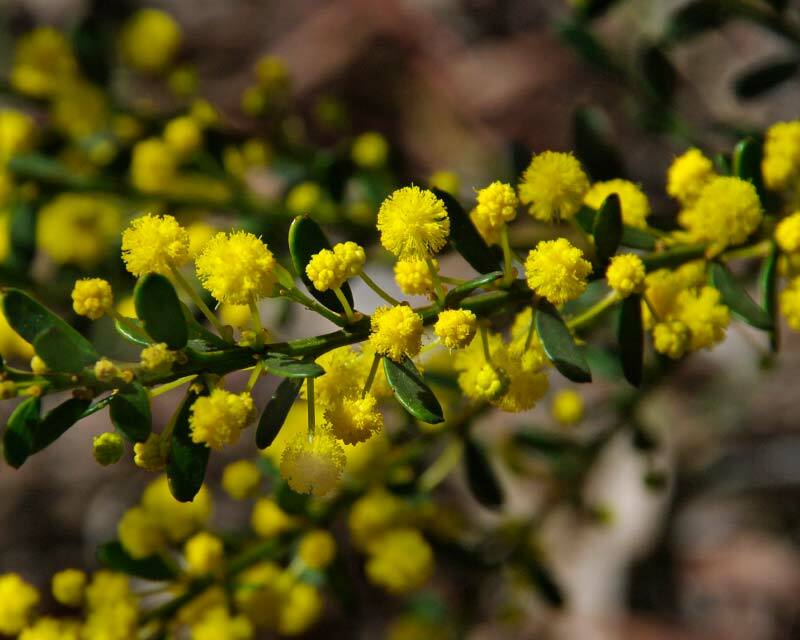 Acacia acinacea - Gold Dust Wattle is an attractive medium sized shrub growing up to 2.5m tall and wide. In winter and early spring it is covered with a mass of small yellow globe shaped flowers. This is a very hardy plant, it will grow in clay and sandy soil; full sun to semi shade and is tolerant of frosts, drought and lime. With native plant tubestock orders we ship in multiples of 16 plants per pack. You may select many different varieties from Live Native Plants to make up your pack and you may order multiple packs.